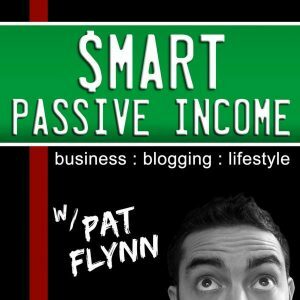 Here’s the latest Entrepreneur On Fire Podcast for your enjoyment! Systems and Standard Operating Procedures may not be the sexiest things in business, but they are critical to any business’ success! That’s why when I started working on a recent project I knew I couldn’t keep it to myself: this is the start of me sharing the exact project plan, brainstorming exercises, and implementation steps I’m taking in order to create systems and standard operating procedures throughout our entire business. Be sure to tune into this episode for additional content not included in this post! As is the case with anything that comes to life in your business, the first step necessary is to decide that you actually want to work on a particular project. I’ve been creating systems in our business since the beginning, but something I haven’t ever taken a step back to brainstorm and create: standard operating procedures for everything we do. I’d been thinking about this a lot because in the past couple of years we’ve been able to launch some pretty amazing free courses, online communities, and even a second physical journal (The Mastery Journal) based on our knowledge from previous projects. Because we’ve documented the steps we took in each case, we’re able to recreate that same success with different topics and in different areas of our business without having to start from scrath. So now I know firsthand how much time you can save yourself – and your team – when everyone has a central place they know they can go for the exact steps to accomplish a particular task or project. Same goes for every day tasks and projects in your business. Once I decided I wanted to take on this project, the next thing I did was COMMIT to it. This might sound super obvious, but when’s the last time you actually stopped and committed to yourself – out loud – that you were all-in on a project? It can make a huge difference when it comes to holding yourself accountable. Once I had decided on and committed to this project, my next step was to understand why I wanted to do it. I know a project without a purpose behind it is going to be tough to create a plan for, and it’s also going to be tough to follow through on when the going gets tough. I need a WHY to come back. 1. I want to get a good handle on everything that’s going on in our business. Now that we have a solid team of 4 virtual team members, plus myself and John, I wanted to have a solid, overall picture of what everyone is working on. What’s working great so we can double down. 2. I want to have a central place where we can all go to understand any process or system in our business. Because some of the tasks and projects we work on overlap – or for some of our bigger systems, we have multiple people managing different steps of the process – it’s important that we’re all on the same page and understand what other pieces of the puzzle are necessary. Serve us when doing new on boarding / training. What will it look like when it’s complete? Once you’ve decided and committed to your project, and you have a good understanding of WHY you want to do it, it’s time to brainstorm how you want it to turn out. In other words, what will it look like when it’s complete? 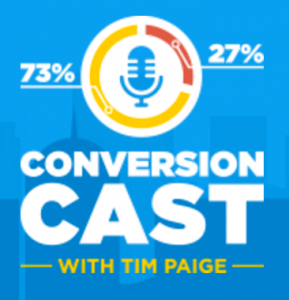 You not only want to have a good understanding of the major deliverables (because that’s going to help you identify the individual steps you need to take to get there), but you also want to know HOW it’s going to help you. So when I took a step back and thought about what our systems and standard operating procedures will look like when complete, I came up with four major deliverables. In coming up with my list of major deliverables I was able to see exactly how this project is going to help us once complete. Once we have all 4 of these things in place, the reasons why I wanted to do this project in the first place will be met. What’s the very first step? Only thing left to do is START your project, which you can go about doing in several different ways. You might start by putting together a detailed project plan, which is typically what I would recommend. But in order to get started on this particular project, all I needed to figure out is the first step. I knew if I got too deep into putting together an entire plan in the beginning that I might get bogged down with everything I don’t know at this point. So instead, I’m starting with what I do know: the very first step. I know that once I take the first step, the others will start to reveal themselves. Plus, as I start to identify new steps, I can start putting my project plan together as I go. It’s easy to get held back when first starting a big project: overwhelm and not knowing where to start happens to all of us. So it’s ok if you don’t know all the steps right now. Focus on the first step and the others will reveal themselves. Here are the first steps I’ve taken in creating standard operating procedures for our business. I created a board in Asana for the overall project: Standard Operating Procedures for Entrepreneurs On Fire. Then, I created a column for each team member. Next, I reached out to all our team members and explained the project and why it’s important. Finally, I requested their help with the first step: sending me a list of their tasks in the form of: daily, weekly, bi-weekly, monthly and 1-time tasks. Once I receive that information back from each of our team members, I’ll document what everyone sent me in their respective columns. Stay tuned for more steps! This is only the beginning of this project, and I hope you can see from this that starting big projects doesn’t have to be overwhelming or scary. All you have to do is set aside the time to talk through it and brainstorm. What are my goals for this project? What do I hope is accomplished when it’s complete? What’s the first step I have to take to get started? If you’re looking for a step-by-step guide that can help you with setting and accomplishing a BIG goal like the one I’ve shared here, The Freedom Journal is that guide. The Freedom Journal is your accountability partner with daily check-in’s, 10-day sprints, and quarterly reviews to make sure you’re on track to hitting your goal. Grab your own Freedom Journal today at TheFreedomJournal.com! 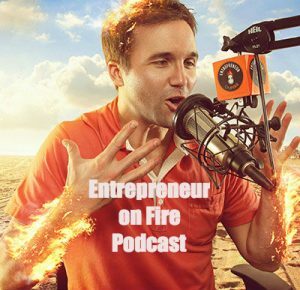 The post 172: Systems and Standard Operating Procedures for Your Business appeared first on Entrepreneurs on Fire with John Lee Dumas.